Vitafoods Europe has enjoyed another record-breaking year, with visitor and exhibitor numbers both significantly up on 2016. 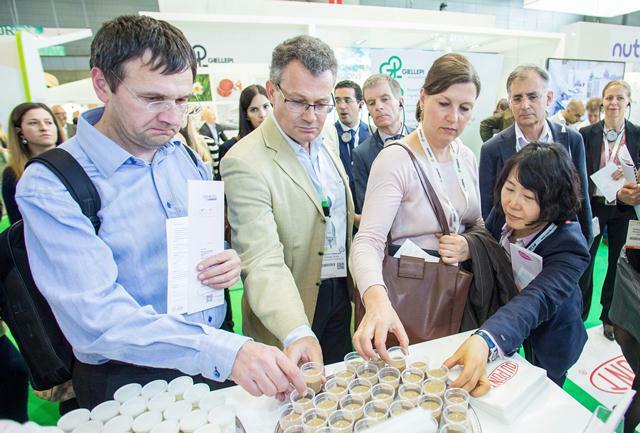 Almost 20,000 (19,951) visitors attended the global nutraceutical event in Geneva between 9 and 11 May –13% more than last year. Furthermore, a record 1,034 companies exhibited – up 15% on 2016. This was the most international Vitafoods Europe ever, with exhibitors from 56 different countries, and visitors from 108. Visitors found that the event’s growth created even more opportunities for them to network and do business. There was also positive feedback for the newly restructured Vitafoods Education Programme, with delegates taking advantage of the opportunity to access content more closely aligned to their business objectives. Professor Andrew Scholey, Director of the Centre for Human Psychopharmacology at Swinburne University, Melbourne, said: “The quality of the speakers and the content this year was excellent. I’m very interested in the way the Education Programme has evolved over the years and gone on to become such an important part of the event. It’s a great forum for meeting existing industry partners, forming new collaborations and finding out where research is going in general across different fields. Many of the exhibitors said that they had noticed increased traffic to their stands, and that visitors had come from a wider range of countries. This year, old favourites such as the Vitafoods Tasting Centre and the Omega-3 Resource Centre were joined by a number of new features. These included the Vitafoods Innovation Centre in association with analyze & realize, which offered free consultations on areas such as regulation and marketing access. Also making a debut was the Probiotics Resource Centre – a new dedicated knowledge hub. Organised in association with the International Probiotics Association, it explored the latest breakthroughs in probiotic technology and market trends. With the event proving so successful for all groups – visitors, exhibitors and education programme delegates – the organisers are now looking ahead to next year. Vitafoods Europe 2018 will take place at Palexpo between 15 and 17 May 2018. Vitafoods Europe is the global nutraceutical event featuring exhibitors from all over the world across four key market areas: ingredients & raw materials; branded finished products; contract manufacturing & private label; and services & equipment. The event offers a range of visitor attractions, including an industry-leading education programme.